Now joining us is Glen Ford. He’s the executive editor of Black Agenda Report. DESVARIEUX: So, Glen, Gaza is in the news every day, daily basis. And I kind of want to get a sense from you of what the reaction has been to all of this by the black political class. FORD: Negligible. Shocking. In Great Britain, the Black Student Union, the national Black Student Union, has joined in condemning Israel’s vicious attacks on Gaza. But we hear no equivalent here in the United States. A couple of weeks ago the House, as well as the Senate, passed a unanimous resolution basically giving Israel a blank check in dealing with the Palestinians in Gaza. That was unanimous, not one dissent, including the 40-plus black members of Congress. Even Barbara Lee, who back in 2001 was the only member of Congress, period, to vote against the invasion of Afghanistan, even she went along with this unanimous blank check for Israel. 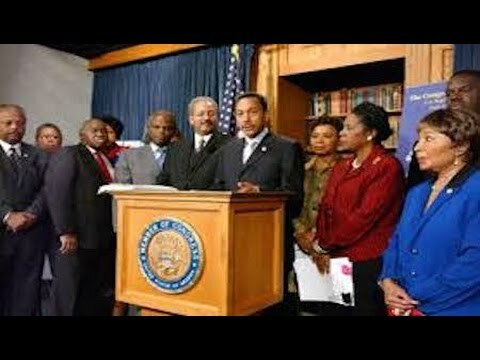 A little bit later, however, six congresspersons, four of them black, including Barbara Lee, and also including Ron Conyers [sic] and Keith Ellison from Minnesota, and Hank Johnson, who replaced Cynthia McKinney in Atlanta, who was very, very adamant in her opposition to Israeli policies, the most that they could do was to send a letter to the White House urging Secretary of State Kerry to try to get a ceasefire going in Gaza. But not one of them could bring themselves to oppose Israel’s actions. The NAACP, the country’s biggest civil rights organization, was having its national conference when the bombs were falling on all those children in Gaza and it said not a word. And now Sharpton, who has a show on MSNBC and has the ear, we are told, of the president, he has opportunities every day to speak his mind and he has said nothing about Gaza. In fact, if we talk about the marquis black luminaries, that is, those black folks whose names are on people’s lips, who are recognizable, only Cornel West consistently speaks out against the oppression of Palestinians by the Israelis. All this is very upsetting, because there is a history of a deep and profound black critique of Israeli racial behavior. It goes most dramatically back only 30 years to the Free South Africa movement, when Israel was accused, correctly, of collaborating very closely with South Africa, helping South Africa develop an atomic bomb, being in a deep partnership militarily with South Africa. And Israel was routinely denounced by student activists and older and more established black politicians. But you hear none of that today. DESVARIEUX: But, Glen, why this silence? I mean, you draw the comparison to apartheid. People would actually stand up, like Barbara Lee, but in the past. But now she’s silent. Why the change? What happened? FORD: It’s part of the general silence of the black community. The 1980s was the last time that we had anything approaching a mass movement, and that was the Free South Africa movement. We’ve also had profound changes in the Congressional Black Caucus, which since the early years of this century, since about 2002, has been awash in corporate money. And now black congresspersons are more dependent upon corporate money than they were on union funding. But even union funding is kind of tricky when it comes to Israel, because there’s a great deal of pro-Zionist influence in the union movement. But nevertheless, back in the day, if we go back three decades, we could at least hear something that sounded like a semblance of criticism, even from politicians in the Congressional Black Caucus, and there was real noise on the street. But we have no movement on the street in black America, and that’s why we find the silence there as well regarding Palestine. DESVARIEUX: Alright. Glen Ford, always a pleasure having you on. Thanks for joining us.